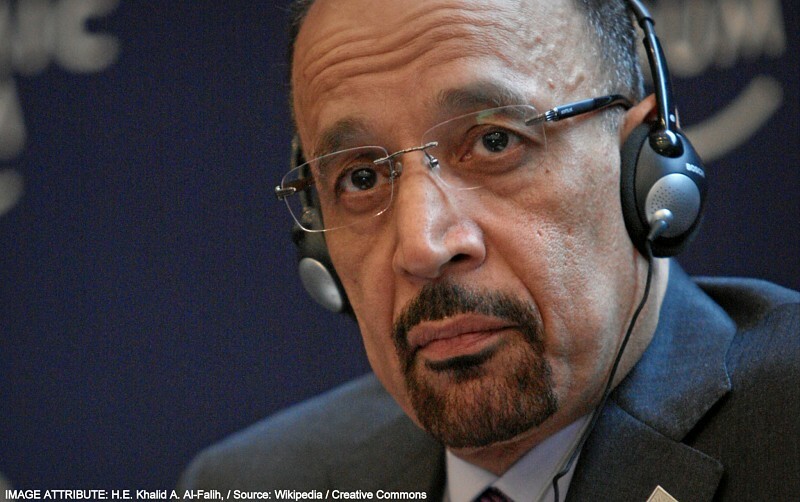 Dubai (Platts) - Saudi Aramco Chairman Khalid al-Falih has been appointed as Saudi Arabia's oil minister, succeeding Ali al-Naimi, who was dismissed on May 7, 2016. The sudden change reported tersely by the official Saudi Press Agency as a royal decree, comes less than a month ahead of OPEC's meeting on June 2. This might be expected to have consequences for both the oil exporters' group and international markets, but early signs are that those may not be what most international oil producers would have wished. Among Falih's first duties in his new post as Saudi oil minister, as well as his major role on the international stage, will be to fill Naimi's shoes as the de-facto head of OPEC -- an organization which his predecessor largely shaped into one that agreed fairly amicably to be led by him. Indeed, in his 21 years as oil minister, Naimi built a formidable reputation by virtue of his performance at OPEC, where he consistently delivered on policies presented as ministerial consensus. Notably, he persuaded the group to agree to production ceilings that twice helped revive flagging international crude prices, in the late 1990s and in 2009-2010. However, the policy he led the group to accept in late 2014, which gave free rein to market forces, was more divisive than most. Outspoken dissent from Iran, Venezuela, Algeria and others led some observers to question whether OPEC still had market relevance. But by the start of 2016, Naimi's ability to mend rifts in OPEC's ranks was limited, as his power to shape or modify Saudi oil policy had been eroded by the rise to power in the kingdom of Deputy Crown Prince Mohammed bin Salman and his adviser on all things oil-related -- Khalid al-Falih. Now firmly in control of Saudi Arabia's oil sector, the pair, as recent events have shown, are firmly committed to staying the course on defending market share, even if the former minister might have been ready to make concessions to maintain OPEC cohesion. "If prices continue to be low, we will be able to withstand it for a long, long time. Obviously we don't hope for that, but we're prepared for it," Falih had said at a World Economic Forum energy panel in Davos early 2016. This means that if any OPEC members hope for change next month when Falih attends his first OPEC ministerial meeting, they are sure to be disappointed. The new oil minister's recent statements signal that Saudi Arabia will continue with current policy -- increasingly unpopular with other OPEC members and producers outside the group -- of defending its share of the global oil market by keeping output high regardless of prices. Nor is the kingdom likely to join other producers in a pact to freeze output unless Iran comes on board. Falih had said, again at Davos, that Saudi Arabia should not be expected to "withdraw production to make way for others," a remark that may have been aimed obliquely at fellow OPEC member Iran, as well as referring to Saudi determination to defend market share against climbing non-OPEC supply. Falih has also on various occasions voiced his disaffection with Saudi Arabia's previous practice of providing a free "insurance policy" for high-cost producers by acting as swing producer. Although the kingdom, in Falih's words, "played the role of the reserve bank when there were short term events," he maintains it never advocated taking the role of balancing the market against emerging structural imbalance, such as the unforeseen US shale oil boom. Despite his near-legendary skill at bending OPEC politics to the kingdom's advantage, Naimi's departure from the Saudi oil ministry, sooner rather than later after King Salman's accession to the throne, was widely anticipated. The octogenarian Naimi had requested retirement in 2011, agreeing to stay on as minister only to help minimize instability to the kingdom as Arab Spring protests stirred regional upheaval. Most Saudi oil ministers have been associated with a particular king -- in Naimi's case, the late Abdullah -- and do not last long after a regime change, Qamar Energy CEO Robin Mills said. Only the unceremonious manner of Naimi's dismissal should have raised eyebrows. It came soon after the failure of the April 17 international producers' meeting in Doha, at which Naimi was forced to admit he lacked authority to sign a proposed deal with Russia and others to freeze output. The Doha debacle may have provided a convenient trigger for change that had been planned for some time. The seeds were sown more than a year ago, when King Salman created a Supreme Council for Saudi Aramco chaired by his favored son, the 30-something Mohammed, effectively removing the company from ministry oversight. Then Aramco CEO Falih, now in his mid-fifties, was promoted to chairman while becoming health minister and a member of the Supreme Council. Widespread expectations that he would not be health minister for long, but was being groomed as a future oil minister, were corroborated by signs over the past year that Falih and Mohammed were growing close. Both men publicly championed as Saudi policy the "defense of market share" strategy that Naimi had presented as new policy for OPEC. All the while, Falih moved increasingly into the public eye, making more frequent public appearances at home and abroad than he had as Aramco CEO. When Naimi stepped out of line in the lead-up to the April Doha meeting, signaling he was ready to sign a production-freeze agreement with Russia that did not also include Iran, Mohammed overruled him. Analysts note that Mohammed, in his role as Saudi defense minister, could not countenance a deal that would hand a clear advantage to the kingdom's arch-rival Iran, especially when Saudi Arabia was militarily engaged in proxy wars against that country. For trying to play an independent technocratic hand while disregarding Saudi political imperatives, the wavering former petroleum minister was replaced by a younger man who was unquestionably loyal to Mohammed. Despite last year's severing of the previous close relation between the ministry and Aramco, Falih's profile as oil minister has been bolstered by the merger into a single "super ministry" of the kingdom's former Ministry of Petroleum and Mineral Resources and Ministry of Electricity. That means the new minister will be in charge of forging an integrated energy policy for Saudi Arabia while exploiting the many synergies between the oil and minerals sector. Falih will also be tasked with overseeing a partial spin-off of Aramco assets or the sale of a minority stake in the company to public investors. All are part and parcel of the economic Vision 2030 that Mohammed, as chair of Saudi Arabia's economic development council, unveiled to great fanfare late last month. "Core Saudi strategy should not change; no playing swing producer," said an oil analyst who spoke on condition of anonymity. "Tactically, Mohammed bin Salman has been calling the shots for a while now, with Khalid al-Falih advising him, so this just formalizes reality," the analyst added. "Clarity now on no freeze."